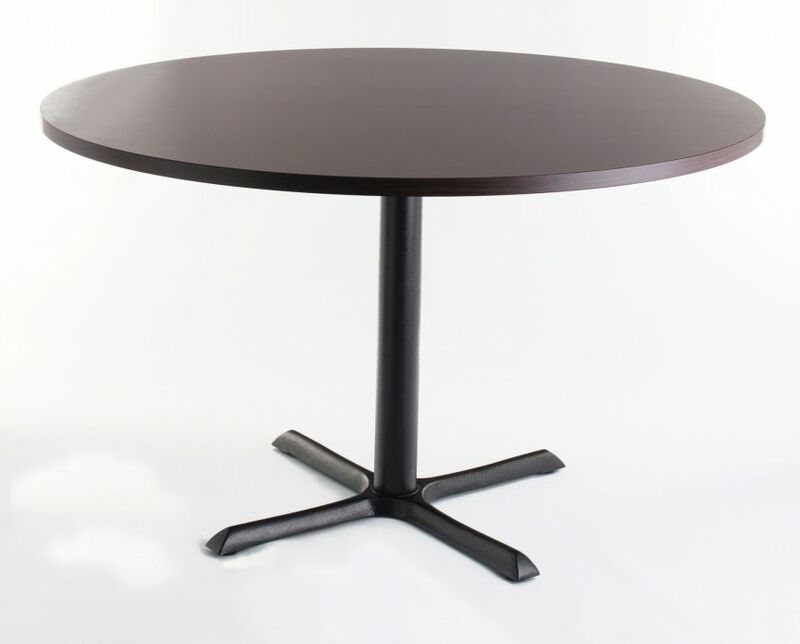 Circular tables with laminated MDF tops in a choice of seven finishes. Tops are laminated MDF with 2mm ABS edge protection. Held in stock for a free next delivery. Laruge circular cafe tables available from stock for a free next day delivery.